I am excited to share that The Weekend Gourmet is officially a member of the Nielsen-Massey sampling team! That means I'll be sharing information on Nielsen-Massey's amazing vanilla products and pure flavor extracts -- along with a fun recipe focused on the featured flavoring -- with you from time to time. There will also be some fun giveaways along the way! 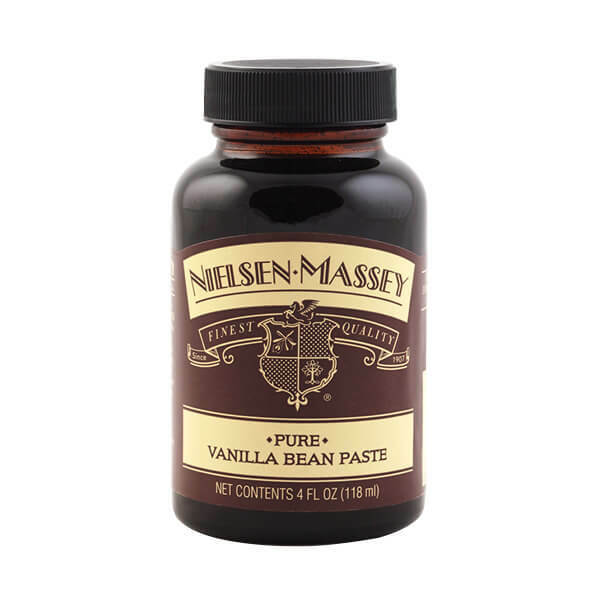 Nielsen-Massey vanilla products and pure flavor extracts are my go-to for cooking and baking, because of their authentic flavor profiles. 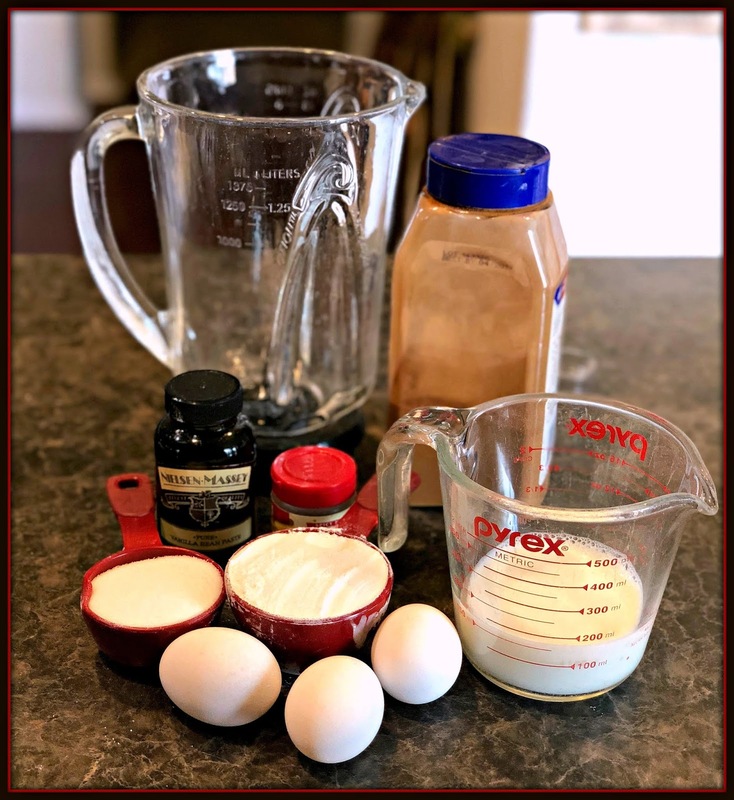 Today, I'm sharing a recipe that spotlights one of my personal favorite Nielsen-Massey products: Pure Vanilla Bean Paste! This vanilla flavor bomb is created from Nielsen-Massey's Pure Vanilla Extract. The flavor profile is classic, rich vanilla, with the addition of real bean specks from the vanilla pod. That means the Pure Vanilla Bean tastes *and* looks amazing in you recipes! I used the Nielsen-Massey Pure Vanilla Bean Paste for our Mother's Day brunch last Sunday. 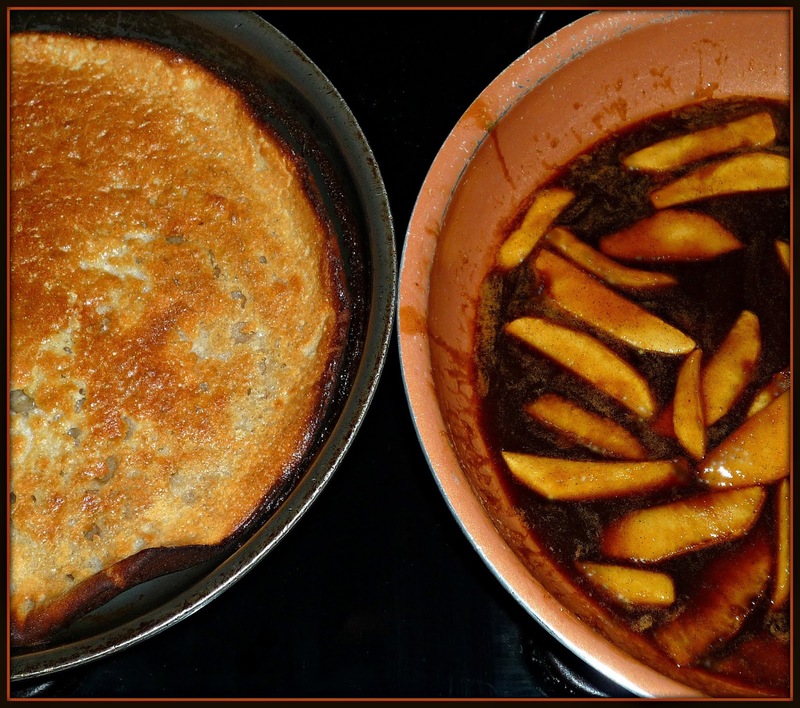 The main dish was a delicious Vanilla Bean-Apple Skillet Pancake that featured the vanilla bean paste in both the pancake and its decadently sweet brown sugar-cinnamon apple topping. This recipe is perfect for weekend entertaining! 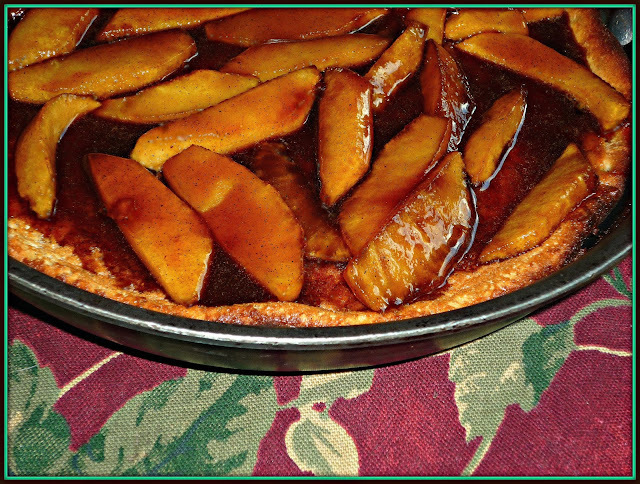 While the pancake bakes in a skillet in the oven, you have a perfect pocket of time to whip up the warm apple topping. To serve the finished pancake, simply cut it into wedges and serve with a side of crispy bacon and/or breakfast sausage. This recipe was a huge hit with my family last weekend, so I'm very excited to share it today! Step 1: Preheat oven to 425. Add the butter to a medium non-stick skillet. Place skillet in the heated oven until the butter melts -- about 5 minutes. While the butter melts, add the eggs, milk, flour, sugar, salt, cinnamon & nutmeg, and Nielsen-Massey Pure Vanilla Bean Paste to a blender. Blend for 1-2 minutes. Remove skillet from the oven and pour the pancake batter on top of the melted butter. Bake the pancake until puffed and golden brown -- 15-20 minutes. Step 2: While the pancake bakes, make the apple topping. Add the butter to a non-skillet over medium heat. 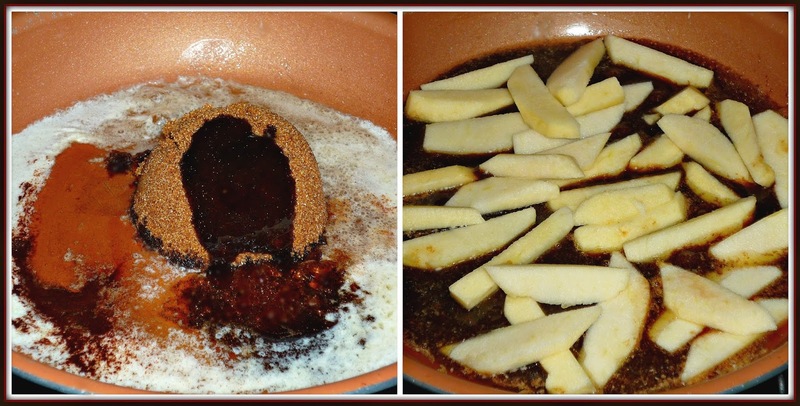 When melted, add the honey, brown sugar, salt, cinnamon & nutmeg, and Nielsen-Massey Pure Vanilla Bean Paste. 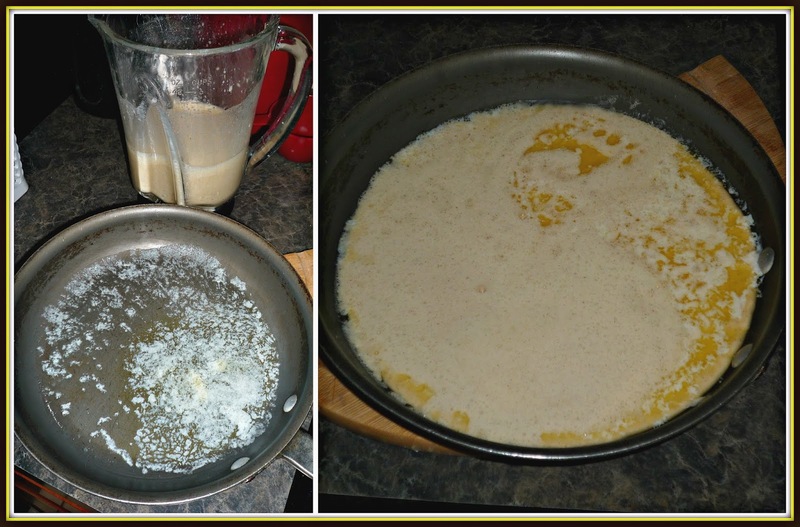 Stir until the sugar and other ingredients are combined with the melted butter. It will look slightly thick at this time. Add the sliced apples and stir to combine with the syrup. As the apples cook, they will release juices -- which will make the syrup the perfect consistency! Step 3: Reduce heat to med-low. Cook for 15 minutes, until the apples are cooked, but not mushy -- they should be soft, but retain their shape. Remove the pancake from the oven. Spoon all of the cooked apples evenly on top of the pancake. Top with enough of the syrup to cover the pancake without making it soggy. Immediately cut the pancake into wedges and serve with remaining syrup on the side for those who want to drizzle more on top. 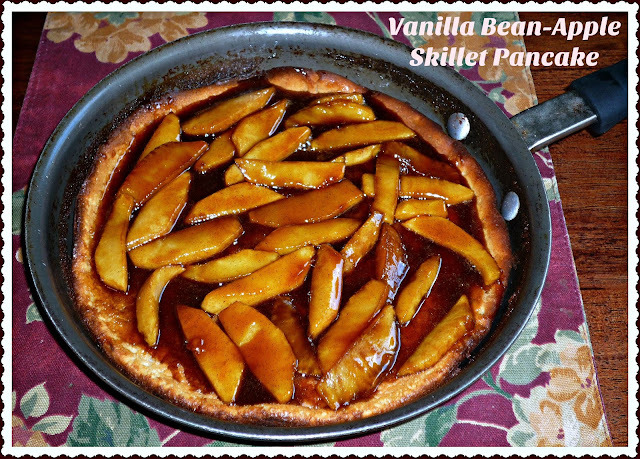 This skillet pancake is perfect for lazy Sunday entertaining! One skillet pancake is so much easier than flipping pancakes on a griddle. It's also versatile...you can use tart Granny Smith apples, pears, or even bananas & chopped pecans in place of the apples I've used here. The Pure Vanilla Bean Paste will pair wonderfully with most any fruit. Want to really up the ante? Add a bit of sweetened whipped cream to each serving! The texture of the pancake is light and eggy -- my Mom thought the texture similar to French toast. 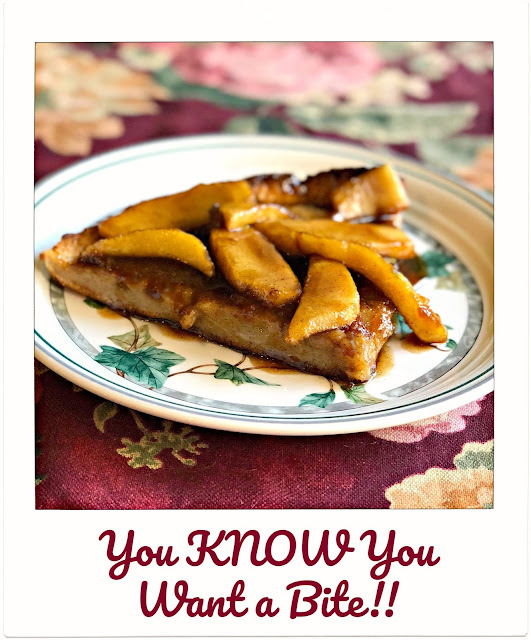 The apple topping was sweet and fruity, with plenty of warm notes from the vanilla bean paste, cinnamon, and nutmeg. I also LOVED seeing all the little flecks of vanilla beans in both the pancake and the apple topping! This is definitely a great brunch dish, but it would also make a fabulous dessert by adding a petite scoop of vanilla bean ice cream on top! Disclosure: Nielsen-Massey provided me with a bottle of their Pure Vanilla Bean Paste to facilitate recipe development for this post. All opinions shared are solely my own.